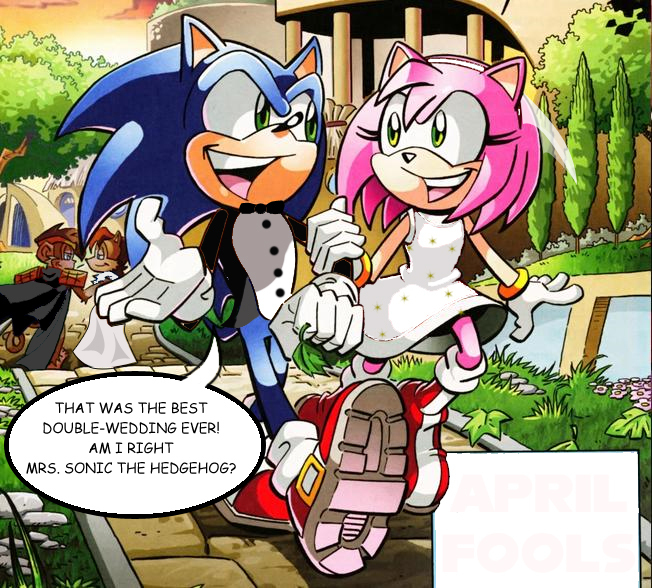 Double Wedding. . Wallpaper and background images in the Sonic club tagged: sonic amy hedgehog 4ever. This Sonic photo contains anime, bande dessinée, manga, and dessin animé. It says April fools at the bottom!! @Whirlwind586 no. The person just edited a picture from a sonic comic. this DID NOT happen. ^calm down, dear. neither did anything else. They're cartoon characters hun..